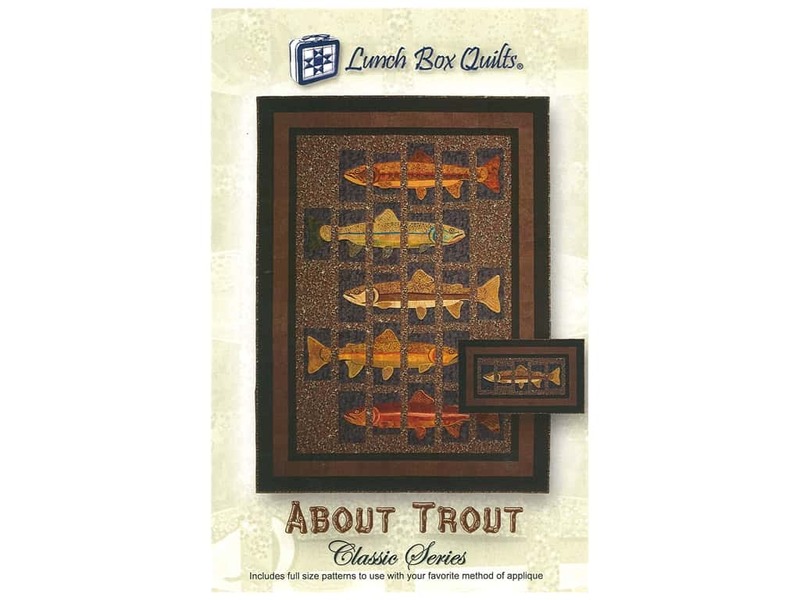 Description: Lunch Box Quilts About Trout Pattern. Choose your fabrics wisely to best represent the colors of the 5 different types of trout, one shown in each of the broken "stripes". Choose from 2 sizes; Large 57 x 76 inch with 5 fish or Small 50 x 30 inch with 1 fish. Includes instructions, diagrams and paper patterns. See more Lunch Box Quilts Patterns.